Landscape or habitat fragmentation is the breaking up of a habitat or vegetation type into smaller, disconnected sections. It is generally a consequence of land use: agricultural activities, road building, and housing development all break up existing habitat. The effects of this fragmentation go beyond a simple reduction of the amount of habitat available. When sections of habitat are no longer connected, a suite of issues can follow. In this discussion of the effects of fragmentation I will refer mostly to forested habitats, as it can be easier to visualize, but this process happens in every type of habitat. While there are many ways landscapes can become fragmented, the process most often follows the same steps. First, a road is built through relatively intact habitat and dissects the landscape. In the United States the road network has been thoroughly developed and we see few remote areas newly dissected by roads anymore. The next step, landscape perforation, is the creation of small openings in the forest when houses and other buildings are being built along the roads. As we experience exurban sprawl, with housing built in rural areas away from the traditional suburban belts, we can observe this landscape perforation. The next step is fragmentation proper, where the open areas merge together, and the originally large expanses of forest get broken up into disconnected pieces. The last stage is called attrition, happens when development further gnaws away at the remaining habitat pieces, making them smaller. The scattered, small woodlots dotting agricultural fields in the Midwest are an example of the pattern that follows the process of landscape attrition. Increased isolation. Much of what we learned from the effects of isolation on habitat fragments comes from our study of island systems. As patches of habitat are no longer connected, and the further apart they become, the lower the biodiversity in these “island” patches. It is natural for some species to disappear temporarily from habitat patches, but when the patches are far apart from one another, animals and plants cannot easily come back and recolonize. The net result is a lower number of species, and therefore an ecosystem that is missing some of its components. Smaller habitat patches. Many species need a minimum patch size, and fragmented sections of forest are not large enough. Large carnivores notoriously need large amounts of space, and are often the first ones to disappear during the fragmentation process. 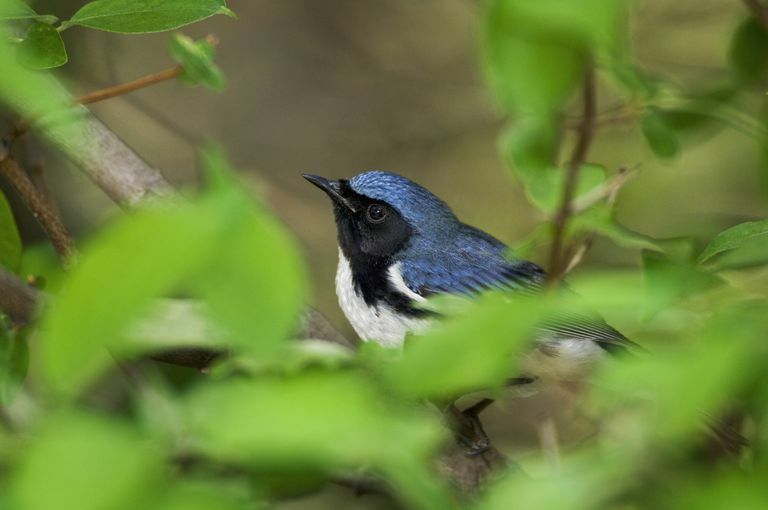 Black-throated blue warbler territories are much smaller, but they need to be established within forest stands at least several hundred acres in size. Negative edge effects. As habitat gets fragmented into smaller pieces, the amount of edge increases. 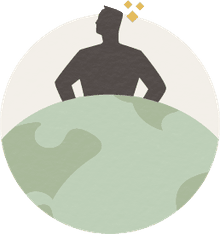 Edge is where two different land covers, for example a field and a forest, meet. Fragmentation increases the edge-to-area ratio. These edges affect conditions a significant distance into the forest. For example, light penetration into the forest creates drier soil conditions, winds damage trees, and invasive species presence increases. Many bird species that need interior forest habitat will stay away from the edges, where opportunist predators like raccoons abound. Ground nesting songbirds like wood thrush are very sensitive to edges. Positive edge effects. For a whole suite of species, though, edges are good. Fragmentation has increased the density of small predators and generalists like raccoons, raccoons, skunks, and foxes. Whitetail deer enjoy the proximity of forest cover to fields where they can forage. A notorious brood parasite, the brown-headed cowbird, responds positively to edge, as it can then better access forest birds’ nest to lay their own eggs. The host bird will then raise the cowbird’s young. Here, edges are good for the cowbird, but certainly not for the unsuspecting host.